She wasn’t born to be a ballet dancer, but Misa Kuranaga chose to #changedestiny. Today, she is Boston Ballet’s first ever Asian principal dancer. SK-II believes in empowering women to overcome their limitations and change their destiny. Read more about the campaign here. Why did you choose ballet as a career? I began ballet because of a vision I had as a seven-year-old girl. I remember seeing a picture of a ballerina in a tutu and immediately I believed I could one day be a beautiful dancer. I had to convince my mom to enroll me into classes because she was adamant about me being a figure skater which is more expected for a petite Asian girl, but I knew that dancing was something I wanted to do. What are some of the biggest challenges you have faced in striving to achieve your dreams? I was awarded an apprenticeship at the world famous San Francisco Ballet company but throughout the season, I was barely used because of my 156-centimeter build and lack of turnout in my hips. I continued to work hard to try and show my love for dance, but I just didn’t fit the mold. At the end of the season I was fired by the Artistic Director and left jobless. This was shocking for me as a once semi-famous, talented young dancer coming from Japan. My self-esteem was shattered and I questioned my place as an Asian in the dance world. To overcome my physical shortcomings as a petite dancer, I traveled to New York City to audition for The School of American ballet whose curriculum focuses on turnout and agility. I knew I had to re-learn how to properly use my body while acquiring the skill to move extremely fast so I could stand out. I was not only the sole Asian in my class, but also the oldest and had to work twice as hard as any other student. What are some stereotypes you’ve encountered as an Asian ballerina? The biggest stereotype for Asians in the dance world is that we are poor actors because of the shape of our face and our reserved temperament. In such an expressive art form this can be very detrimental when it comes to casting romantic classical ballets. Mind over matter, do you agree? You beat your friends. Make sure they never forget with a victory dance from the world’s greatest dancers, the New York City Ballet. Instagram your own victory dance for a chance to win a PS4 system for you and a friend. Tag it #PS4DanceContest. Learn more at GreatnessAwaits.com/PS4DanceContest. 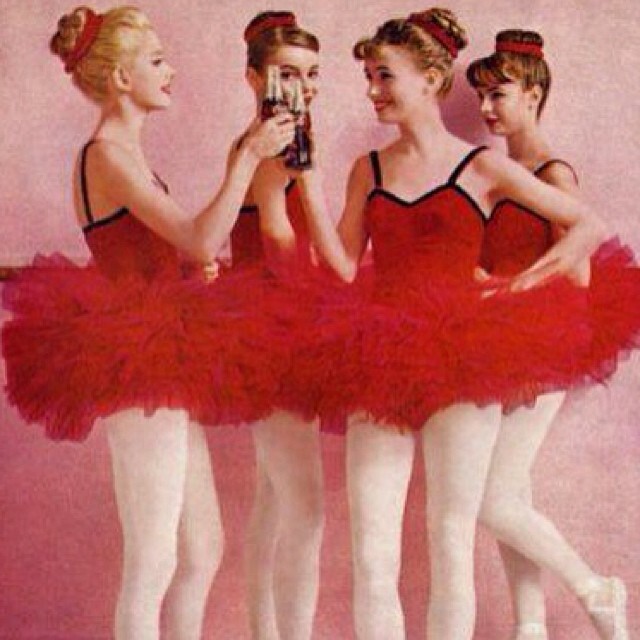 Ballet dancers are very popular as role models in advertising.